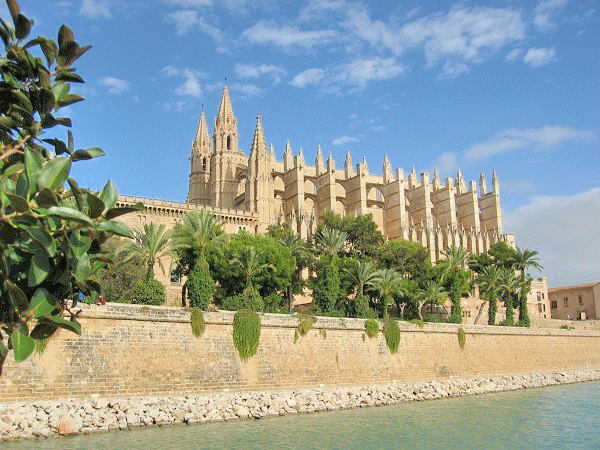 Palma is Majorca’s capital city and offers its many thousands of visitors a glorious selection of history, culture and cuisine. Also known as, Ciutat (City) of Palma, owners of property here love the ease of walking around the city, as important points in the city are conveniently located on the Passage-des-Born, which is the main access road. If you or once you own property here, you will find this city the most convenient base for your vacation. If you love historical sites, your sightseeing tour had better start with a visit to the La seu cathedral build on the shoreline to provide the best view. Building it to what it is today took 371 years, from 1230 to 1601. Build in 1309 from the finest pinewood, this castle dominates the cliffs facing the sea and the city. Most visitors interpreted this dominance position to signify the rulers’ authority. Visitors love climbing to the roof, as it provides a great viewpoint of the capital city and the bay of Palma. The benefits of purchasing property here include the art galleries located in the old town of Palma. Tourists get here on foot. There are luxury yachts and great restaurants where visitors can have a memorable Mediterranean dining experience. There are two flea markets in Palma for those who love shopping. Santa Catalina is just next to the Plaza-La-Feixina gardens. The larger market is opposite the Plaza Major. There are plenty of shops and high-end clothing boutiques too. After shopping, visitors can dine at the La LIotja. Plaza Reina houses some of the finest restaurants and bars here.